I traveled back in time today. I had lunch in the Neringa, on Gedimino pr. in Vilnius. I first had lunch there in October ’93. I was on my first visit to the city to speak at a conference organised by the newly formed Lithuanian Lawyers Association. 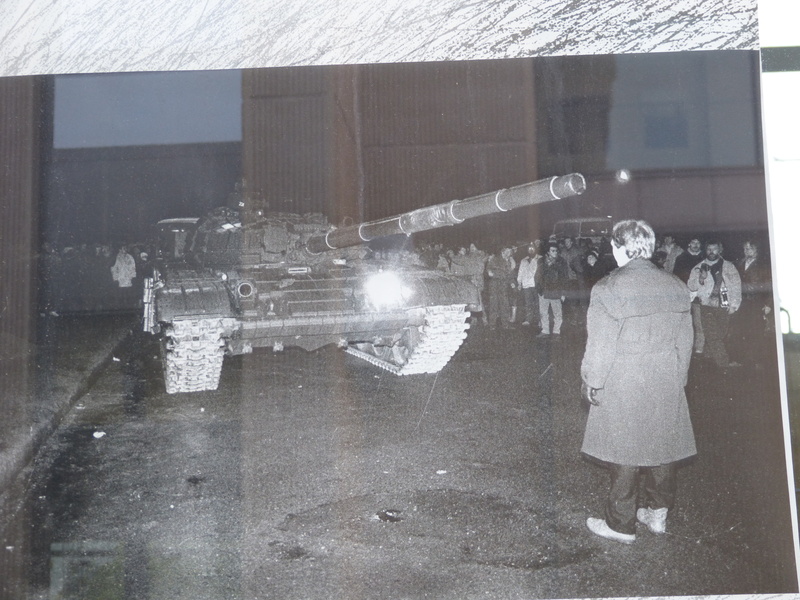 The country had re-gained independence only 2 years before, and the Red Army was still there – making an orderly withdrawal and confined to barracks, but still there. I was taken to the restaurant by one of the local lawyers who was taking care of us over the weekend. We actually needed taken care of. It would have been very difficult to do any of the tourist things (like lunch and dinner) without help, such was the social and economic condition left by 45 years of the Soviet system. Restaurants were hard to find – often hidden from view either because owned by entrepreneurs and to be kept away from the attention of the authorities, or because they were state owned and to be used only by the privileged few. Anyway…the Neringa. 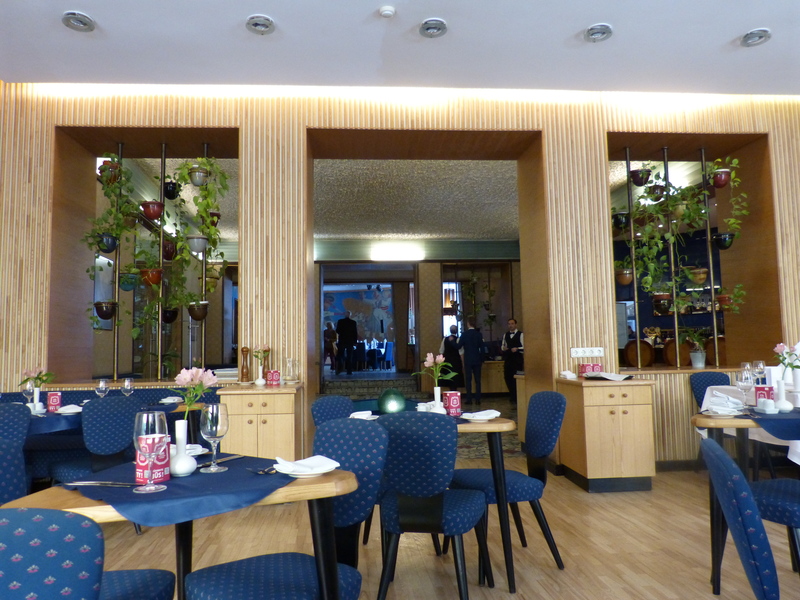 In ’93 it looked like something from 1950s Britain – the decor, the staff. We were given a bulky menu, but the paper was flimsy. Such poor quality was never seen in the west. An impressive choice of dishes, mind you. We read it carefully and made our choices. The waitress came to take our orders. 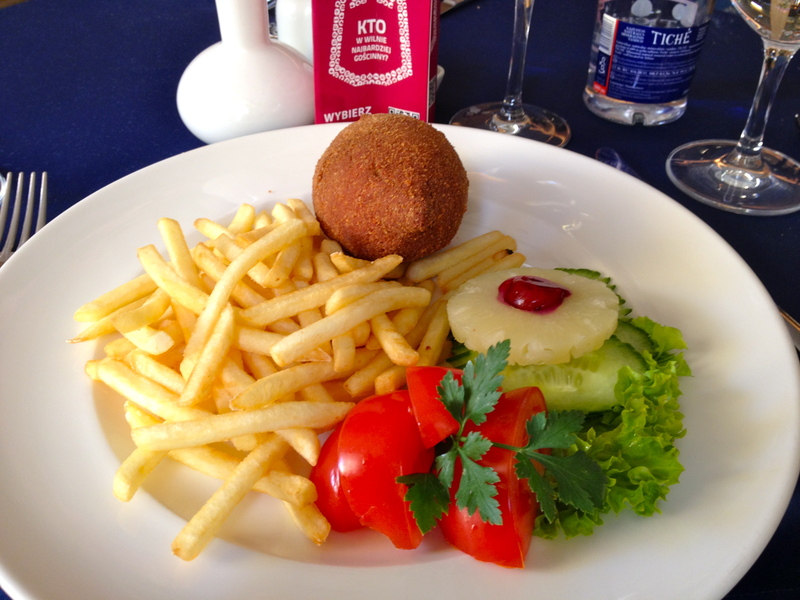 At that point our host explained they only have one thing on the menu – chicken Kiev. She wanted to avoid the embarrassment of the staff having to explain this to us. I like chicken Kiev and it was excellent – home made and nothing like the processed rubbish we’d get at home. The French fries and veggies were great too – the latter tasted “real” as intensive agriculture hadn’t arrived in Lithuania and neither had imports. Over the next 5-6 years it was a regular lunch spot. I went back to the Neringa to eat today (May ’15). The style and decor are the same, but the menu is new and the staff transformed. It’s almost like eating in a museum, but it was superb too. Great food and excellent service. Guess what? I had the chicken Kiev. 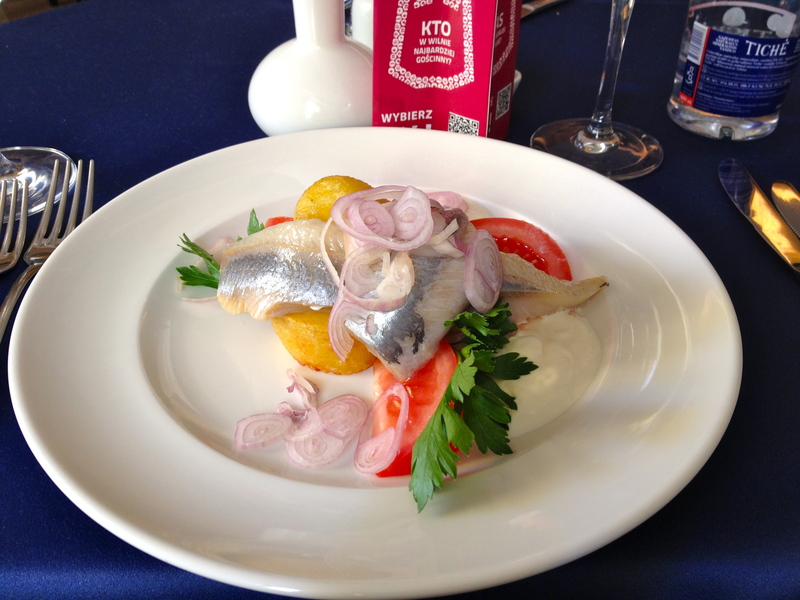 Having decided to spoil myself, I had a starter too – Baltic herring with potatoes and sour cream. It seems to attract old style “regulars” as opposed to the new middle classes. None of the “look at me” crowd. That adds to the charms. I’d go back anytime. Hopefully soon. 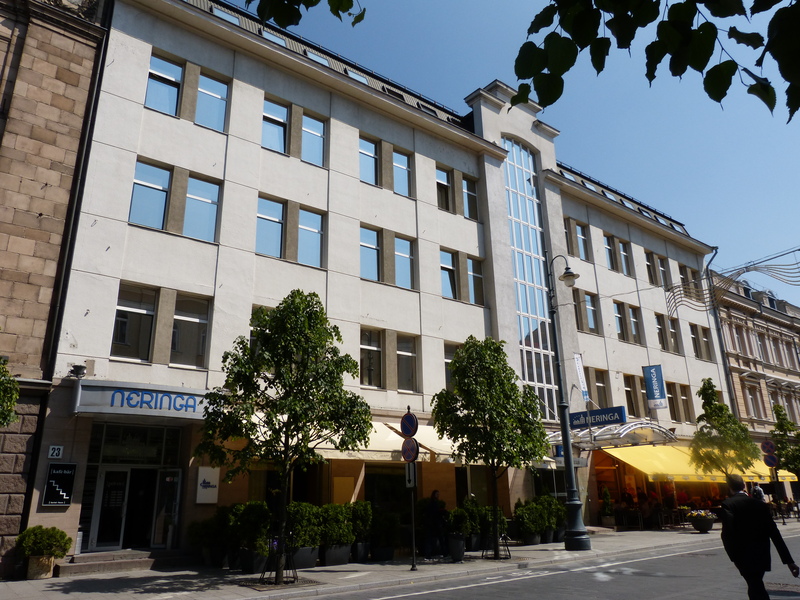 This entry was posted in special places, Vilnius and tagged Special Places, Vilnius. Bookmark the permalink.